8 months later Seren, Allen, and Ryan finally catch up with their Spider-Woman coverage. Which leads them to wrap up their discussion of the Spider-Women crossover event. Thanks for listening! Listen to Part 1 of Spider-Women review, here. Ryan is joined by Seren from the Attilan Rising Podcast, venturing back to Volume 2 of Dennis Hopeless’s run on Spider-Woman. The two break down issues 5-10, to tell you how badass of a character Jessica Drew is. And why we need Spider-Woman to return as an ongoing series. Thanks for listening! 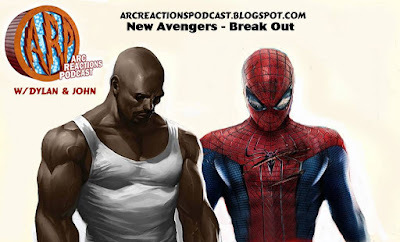 New Avengers – Breakout is the story that relaunched the Avengers team and books following Avengers Disassembled. Zomburai joins Dylan and John to discuss this story as well as the comics industry as well as superhero team books. Our next podcast will be our coverage from Emerald City Comiccon on April 17th. Our next Bat Books For Beginners episode will be Catwoman – Dark End of the Street on April 19th.